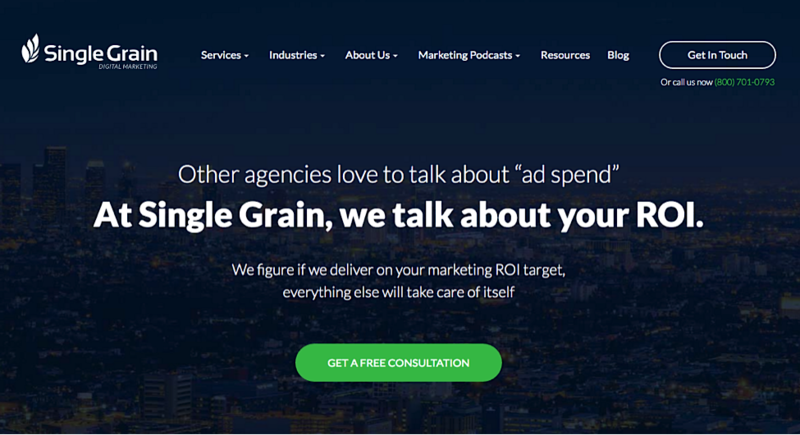 This post originally appeared on Single Grain, a growth marketing agency focused on scaling customer acquisition. Take a look at some of the biggest, most valuable companies in the world — companies like Google, Microsoft, Apple, or Facebook. The truth is, one of the biggest reasons why they all became massively successful is because they hired the right people early on. For example, take Larry Schwimmer, one of Google’s early software engineers. He built an internal tool called “Google Snippets” to keep operations efficient during their period of explosive growth. Mark Zuckerberg hired rockstars like Chris Hughes, who served as Facebook’s spokesman and eventually went on to run social networking components for the Obama campaign. If you have the right process for sourcing, interviewing, hiring, and onboarding world-class team members, you’ll vastly increase the chances that your business will be a massive success. But if you don’t, the consequences could be pretty severe. A bad hire could cost your company over $50,000. And in the time it takes to look for someone new, you’ll have to deal with lost productivity, the cost to train a new employee, the cost to recruit a new employee, negative impact on the morale of other top-performing employees, and a whole host of other issues. In this post, we’ll show you how to build a world class team — from sourcing high-quality candidates to seamless onboarding. Before you can start recruiting the best people who can help your company grow to the next level, you have to get clear on what you can offer them. After all, you’ll most likely be competing with big companies in your space for top talent. In the tech industry, this is definitely the case: A-players will have offers on the table from brands like Google or Facebook. How do you stack up against them? If you’re a smaller company trying to compete against bigger brands for top talent, then chances are you’re not going to beat them when it comes to salary, benefits, or other “tangible” perks. You’ll have to focus more on the intangibles. And one of the biggest intangibles is your company mission — i.e. why you do what you do. It’s important to nail down what your business does, why you’re different, and why anybody should care. It’s the same thing you’d need to close any deal and hiring is no different. 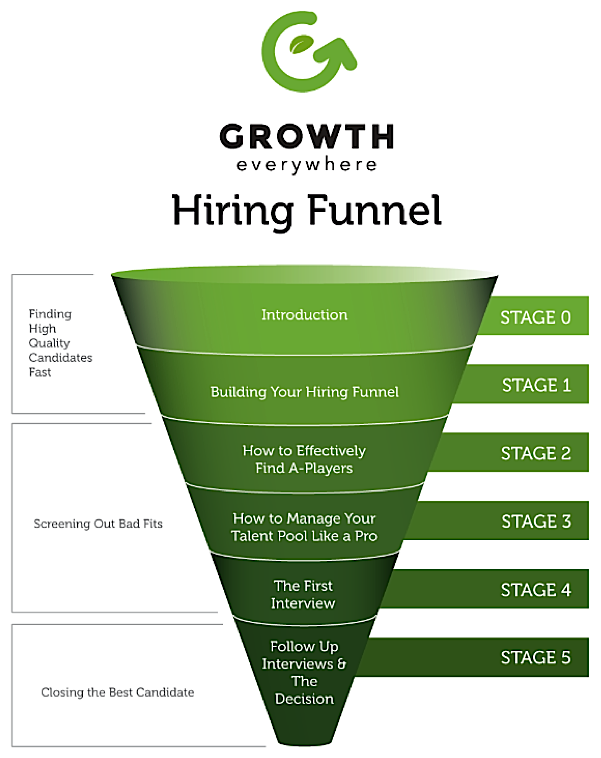 Once you’ve got that down, you can move on to constructing the foundation of your entire hiring process — your hiring funnel. You probably have some sort of marketing funnel when selling products for your business. Through that funnel, you have ways of measuring your conversion rate, your drop-off at each step, and more. You can apply the same concept to your hiring process. By creating a hiring funnel, you can systematize your process for getting new hires on board and turn it into a repeatable, scalable model instead of a random process that feels very scattered. At the first step, we’re focused on finding the right candidates. This means tapping our network for referrals and putting up job ads to get a wide range of qualified applicants. The next step is to screen applicants. This way, you can eliminate “résumé blasters” and other unqualified applicants from your hiring funnel, and push the more serious candidates forward. When you post a job ad, you can expect to get a large number of candidates who are unqualified or aren’t actually serious about working for you. A simple way to do this is by making candidates follow some sort of direction when submitting their application. For example, when hiring for an SEO position, we might ask candidates to write “SEO is cool” in the subject line of their cover letter. Those who don’t will get disqualified. This is a quick way to eliminate the vast majority of applications you get, and focus on the serious candidates. From there, we’ll interview candidates, make an offer, and go through with onboarding. 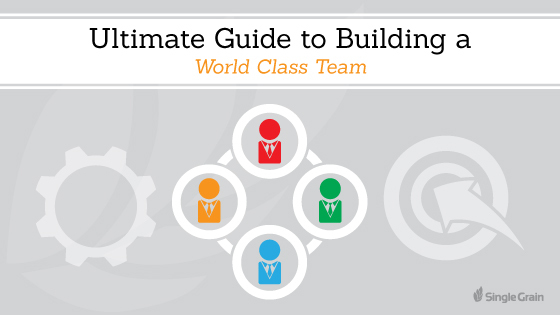 Here’s how you can run through some of the major parts of this process on your own to build a team of world-class employees. Your core values set the foundation for your entire hiring process. It helps inform the type of candidates you want to hire, your company culture, the type of interview questions you ask them, and what you expect from them after they come on board. Some entrepreneurs think “culture” means having a cool office, bean bags, and a casual dress code. In reality, culture is much deeper than that. Culture is made up of the personality traits that everyone in your company has that drive your company forward. Growth. In addition to growing our clients’ companies, we also constantly pursue growth ourselves by reading and learning. Action. In early-stage brands, there’s always something more to do, and Single Grain is no different. We figure out what needs to be done and then take action as quickly as possible. Grit. We’re determined to get things done both for ourselves and our clients. Data driven. All our decisions are made after looking at the numbers. These values determine who to hire, fire, and what to prioritize within the company. Having strong core values is much more important when you’re hiring remote workers. Because you can’t see them working throughout the day to make sure they’re engaged, it’s important that they have the right core values so you can trust that they’re doing good work and contributing to your business. Tackling ambitious problems. They want all their employees to push themselves to tackle hard problems, and set goals that seem scary. Empowering others. The greatest team members bring out the best in others. Think of them as the “LeBron James” of your business. Start with why. Why do customers care about what you do? That answer should set the foundation for all customer interactions. Create experiences. Every interaction someone has with Twilio forms an impression in their mind about what the company stands for. It’s important that each experience is perfect. No shenanigans. They deal with everything in an honest and transparent way. Be humble. They create a culture around learning and growth starts with humility. Think at scale. For a startup or an early-stage company, it’s important to always be thinking about systems that can help fuel growth. Figure out what needs to be done and do it. This is another key value for startups and other small companies. There’s always something more to do, and it’s important that your employees can take the initiative to do whatever is necessary. Be frugal. Resourcefulness is an important quality that defines startup employees. If they can hustle and do more with less, then your company can grow with fewer resources. Those are just some examples of team qualities that might fit well with companies that are looking to grow quickly. You should never copy another company’s core values, but checking out others’ values can be a great source of inspiration for your own business. Pick values that you embody, not ones that you want to embody. For example, you might look at other companies that have “fun” or “compassion” as one of their key values and think “that sounds pretty cool, let’s give that a shot.” That’s what we started doing at Single Grain, but eventually came to the conclusion that those weren’t the main core values that we placed a priority on. And that’s okay. Look at yourself and the other founders of your business — what core values do you already live by? If they’ve been working for your business so far, those are the core values you should be looking for in others. Keep them short. You don’t want your core values to end up like most companies’ mission statements. They put a fancy sounding statement up on their site, yet most of their employees ever look at it or follow it at work. You want your core values to be a list of things that everyone in your company can remember and embody, from your CEO to your newest interns. When looking for new candidates to hire, one of the biggest things business owners look for are credibility markers. That can mean respectable companies that a candidate has worked for in the past, results they got for a previous employer, and so on. One of the best ways to “shortcut” your way to finding credible candidates is by tapping other trusted people in your network. 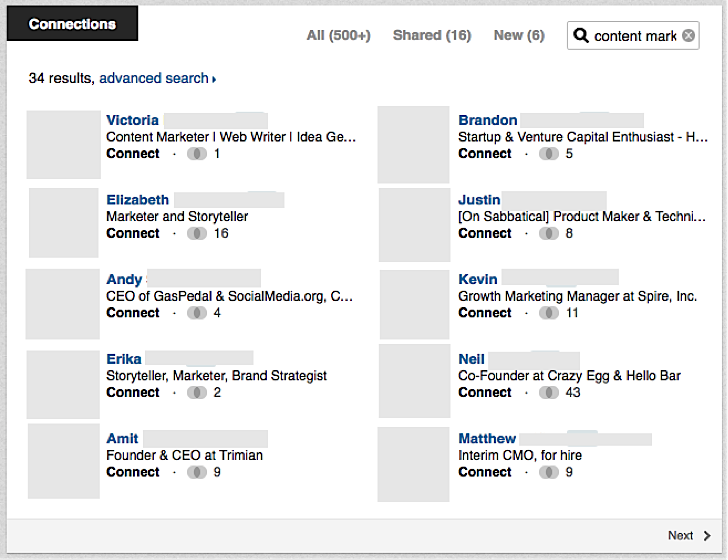 By using tools like LinkedIn, you can quickly search the connections of other people you respect in your network to see if they’d be willing to make a referral. For example, let’s take Tony Conrad — a pretty credible figure in the world of startups / venture capital. If I wanted to, I could click through to each profile that seemed appealing, and make a note of the people who have the appropriate level of experience. I hope all is well. We’re looking for a Paid Advertising Manager and it looks like you have a few good connections on LinkedIn. Who do you think is exceptional in this list? I hope all is well! I wanted to reach out because I’m looking for a [JOB TITLE] to help with [RESPONSIBILITIES]. This would mainly involve [TASKS]. Do you know of anyone who might be interested? Writing a good job description is like writing good marketing copy. If you write bad copy for, say, your website’s landing page, you might not get any opt-ins. Or worse, the opt-ins you get might be from customers who won’t buy. By writing an effective job description, you’ll boost the chances that you’ll get the right applicants for your business. If you write a poor job description, you might be left with a flood of low-quality applicants that will just waste your and your team’s time. Quick description of the company. At the beginning of the job description, you should include a quick statement of what your company does. 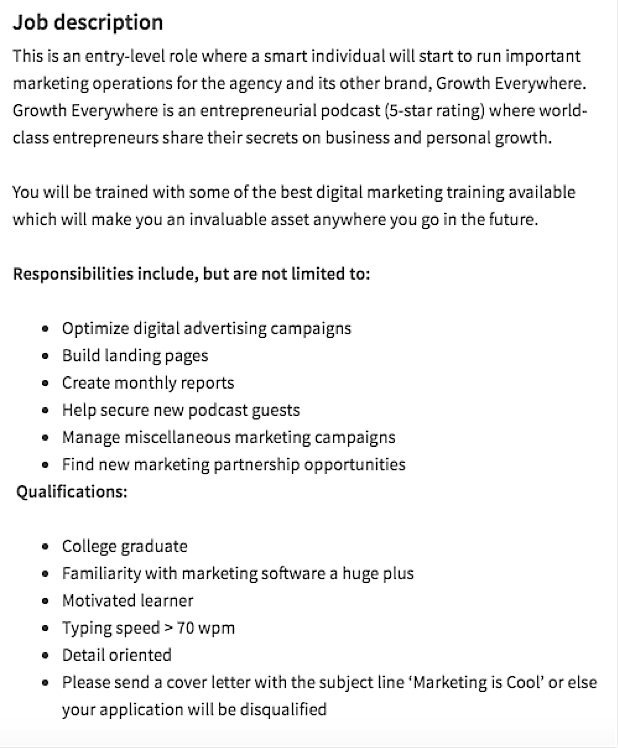 We wrote “Growth Everywhere is an entrepreneurial podcast (5-star rating) where world class entrepreneurs share their secrets on business and personal growth” to give candidates a quick background on the business, and why it’s exciting. In-depth description of the role. Next, it’s time to write an in-depth description of what the day-to-day responsibilities of the role include. Make sure you give candidates a good, honest idea of what to expect if they were to join your company. Job requirements. Then, you want to give a description of your ideal candidate. What qualities does your ideal candidate have? Do you want them to have specific qualifications? Should they have a certain number of years of experience? Applicant “screener.” Lastly, it’s important to include a “screener” requirement to filter out applicants that aren’t serious. For the job description above, we asked candidates to write “Marketing is Cool” in the subject line of their cover letter. Those who didn’t would be disqualified. Job descriptions like these help you narrow down serious, qualified candidates who might be a good fit for your business. One of the simplest things you can do to get high-quality candidates directly from your own audience is publish a blog post about it. Alignment with Buffer’s values. By writing about their 10 biggest company values, they can increase the likelihood that they’ll get applications from people who resonate with those values. A bias towards action. If you’re hiring new people for a small company, then chances are you want people who have a hungry, entrepreneurial spirit who don’t mind wearing several hats. By including “a bias towards action” as one of the key things they look for, Buffer increases the number of driven people that apply to their company. Understanding the Buffer product. If you’ve ever posted a job advertisement on the Internet, you know that you’re going to get a flood of unqualified applicants that you have to sift through. By writing that candidates have to have used the Buffer product for a certain amount of time before applying, they reduce the number of applications to they get to more qualified ones. At the end of the post, they include a link to their “careers” page to anyone who’s interested. While this post helps inform other entrepreneurs and business owners how Buffer hires, the post also helps Buffer attract higher quality, more targeted candidates. At Single Grain, we did something similar — when we were hiring, we wrote a blog post with all the roles and corresponding job descriptions and optimized it as we would with a regular blog post in order to reach a wider audience. Once you have a pool of candidates to choose from, you can start narrowing them down even further by creating more “hoops” to jump through. You might decide to give your candidates a test. For example, if you’re hiring for a marketing position, you might ask them to analyze your site or a competitor’s site, and ask them what they’d do to improve it. Giving candidates a “trial project” might be especially helpful in hiring remote workers. By watching how they work on the trial task (including the work quality, how they communicate with you, etc.) you can get a sense of how they work on their own. After you’ve narrowed down your pool of applicants, you can start pushing candidates to the interview stage to further assess whether they’d be a good fit. In other words, the qualities that companies screen for the most in their hiring process are usually the least important when it comes to employee success. That’s why it’s important to hire for attitude, in addition to skill. Interviews are the perfect place to gauge whether a candidate has the right attitude to excel at your company. What was your reason for leaving your previous job? How were your relationships with your former team members? Were you happy with your previous co-workers and managers? Are you applying for other jobs? Where do we rank on the priority list? You should also make sure that you get an adequate understanding of their strengths and weaknesses. 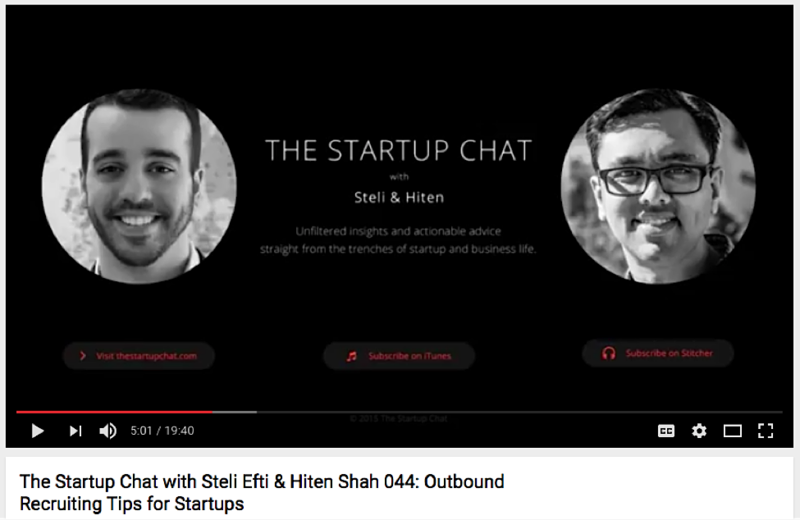 Steli Efti from Close.io uses a tactic of his own to get to the core of an employee’s honest weaknesses, while also giving them an honest understanding of his company’s weaknesses. At a certain point in the interview process, he asks candidates to discourage him from wanting to work with them, while he tries to discourage candidates from wanting to work with his company. Who do you look to as a role model? What’s the biggest mistake you made at your last job? Knowing what you know now, what would you have done differently? Here’s a more comprehensive list of questions you could ask in interviews that can give you insight into a candidate’s priorities, leadership abilities, how they work in a team, how they solve problems, and more. Just like any software product, effective onboarding is one of the biggest keys to retaining employees for the long term. This is more important now than ever before. In fact, 21% of millennials have switched jobs in the last year. And over 50% of them did so in their first year of employment with a company. In an age where A-players have multiple options to choose from, proper onboarding is crucial. Many companies have an informal onboarding process. In other words, employees are left to figure out the ropes of their new role on their own. But without proper onboarding, employees can often feel undervalued and overwhelmed. Compliance. These are the basic rules and regulations that employees have to follow when they’re on the job. This is what most companies think of when they think of onboarding. Clarification. This stage of the onboarding process gets employees more familiar with their role, their day-to-day tasks, and what’s expected of them. This way, you can minimize the chances of performance issues that might pop up down the road as a result of poor communication. Culture. It’s important to give your employees a run down of your cultural values, what unspoken rules they have to follow in the workplace, and what they can expect from their supervisors. Connection. Lastly, you want to be sure that your employees have the chance to connect with each other. One of the best things that employees can do is connect with one another and exchange ideas that can help improve your business. Only 20% of businesses hit all four of these requirements in their onboarding process. Effective employee onboarding is one of the most crucial elements to generating high levels of retention, yet most businesses don’t give it adequate attention. But if you put a priority on making sure that your employees feel properly onboarded, you can increase the likelihood that your business can be one of the few that keeps employees around for the long term. Building a world class team that sticks with you for the long term is a combination of a variety of things — like starting with a proper hiring funnel, sourcing quality candidates, conducting interviews and screening employees in the right way, and ultimately giving them a high-quality onboarding experience. What will you do differently the next time you need to hire someone new? Leave your response in the comments below.